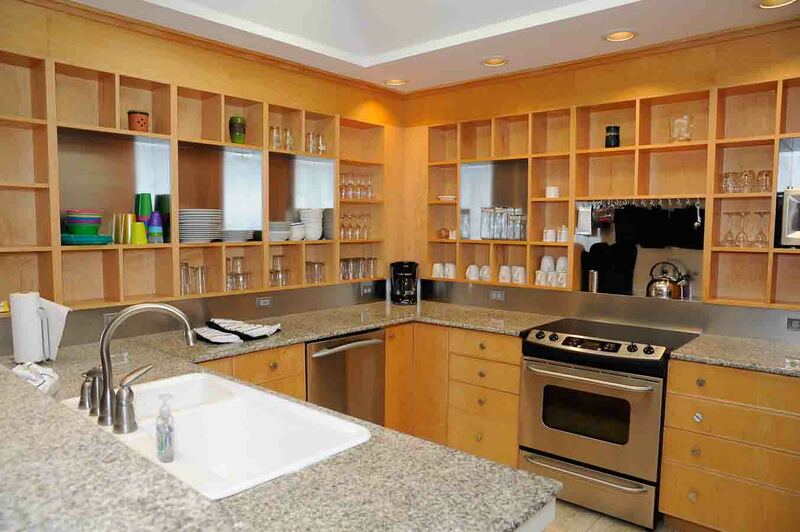 Everything about this 4 bedroom, 4 bath, first floor Belle Mer unit has been designed for ease of living, comfort, and convenience. 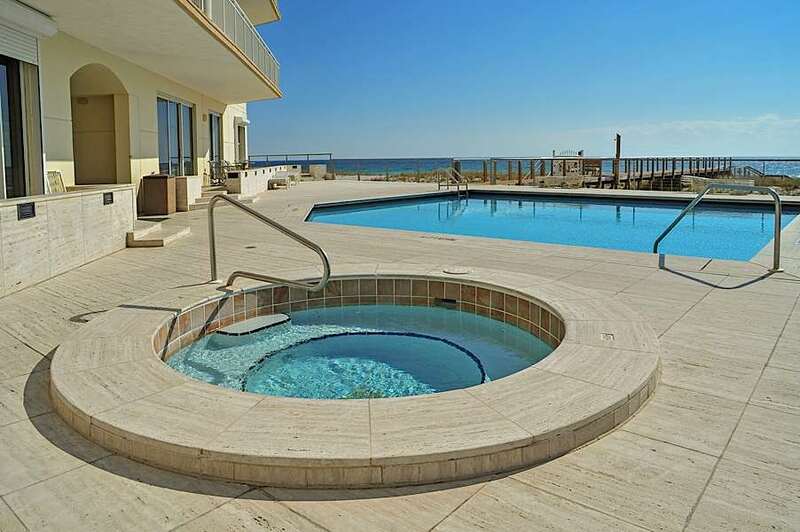 Its ideal location allows easy access to the pool, hot tub, and beach as well as breathtaking views of the gulf, making it the perfect destination for your family's next vacation. 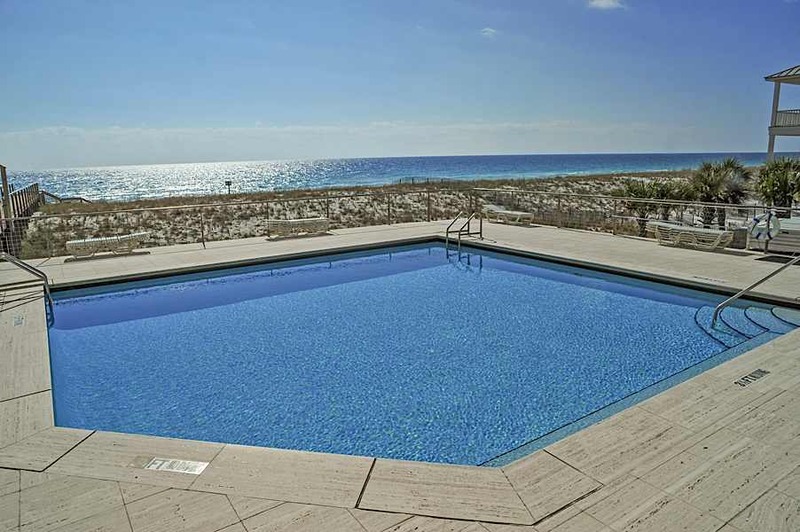 Located on Florida's Emerald Coast on the Gulf of Mexico, Navarre Beach is a quiet spot between Pensacola and Destin, also called Florida's Best Kept Secret. 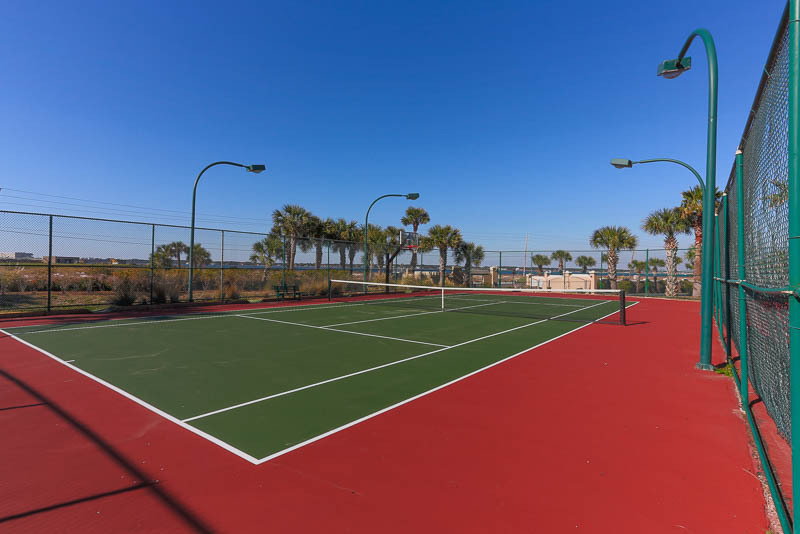 Spend time swimming, surfing, building sandcastles and shell collecting, or walking and wildlife watching on the National Seashore just down the beach. You will enjoy the spacious four bedroom plan that was crafted to blend sophisticated style with casual ambience at this premier beachfront location. 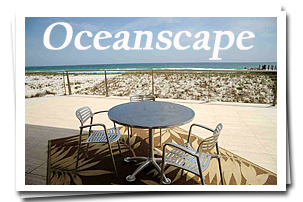 Oceanscape welcomes 8-9 guests comfortably and comes equipped with a full kitchen and all linens. 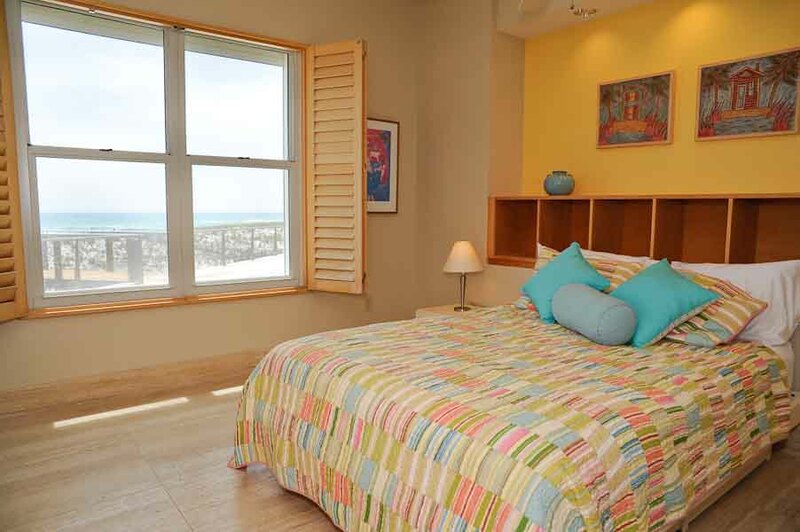 Views of crystal clear blue-green water can be enjoyed from either of the two gulf front master suites. 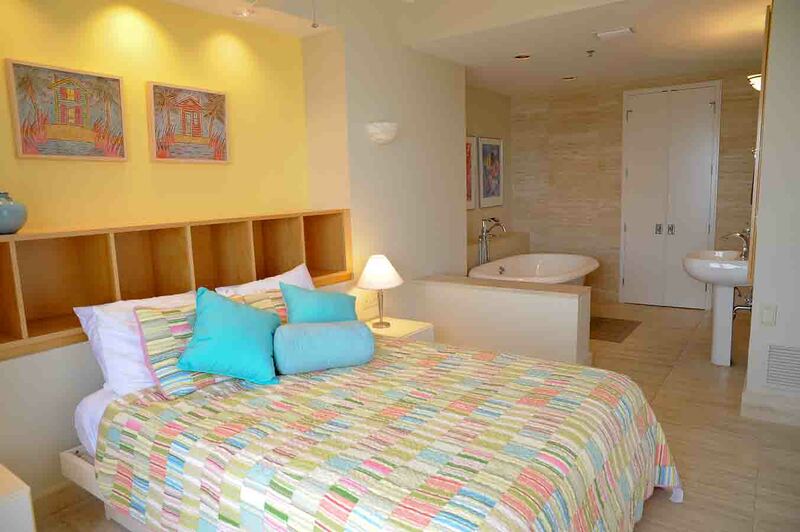 Each has a queen bed, large tub, and separate shower. 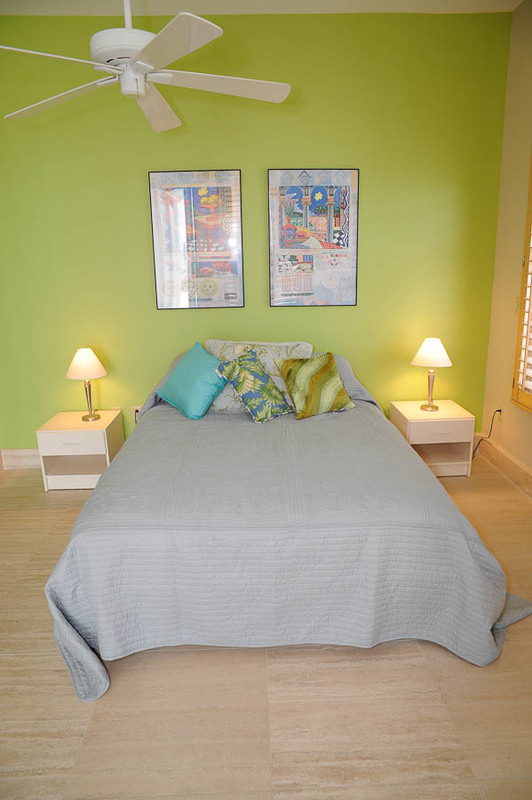 Perfect for the kids, the third bedroom has two twin beds, a TV, and full bath. 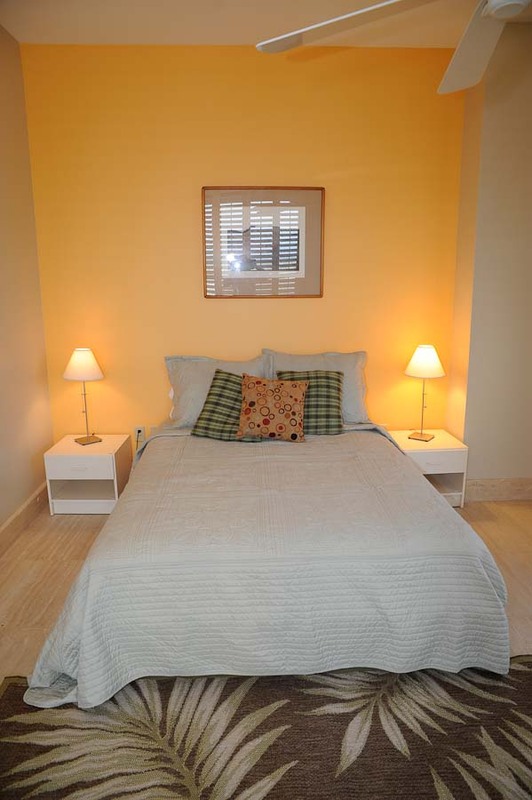 The fourth bedroom has a queen bed and full bath. 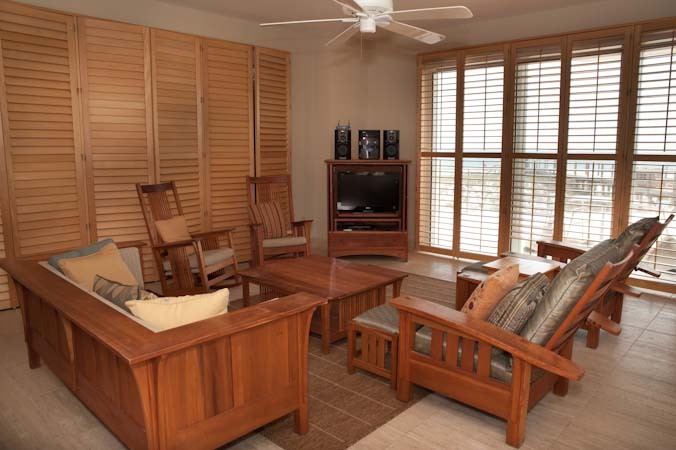 You will find added touches such as travertine floors and plantation shutters throughout the living room, kitchen, and bedrooms in this upscale condo. 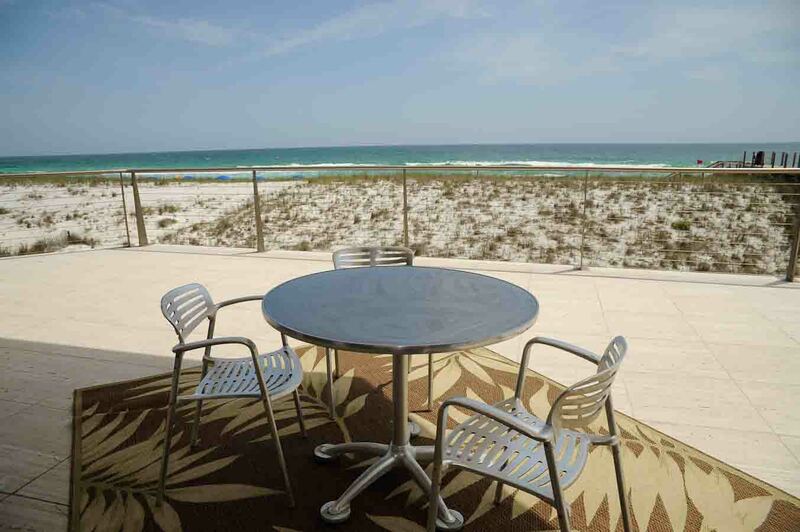 Beautiful sunrises await you every morning from the gulf front patio off the living area. 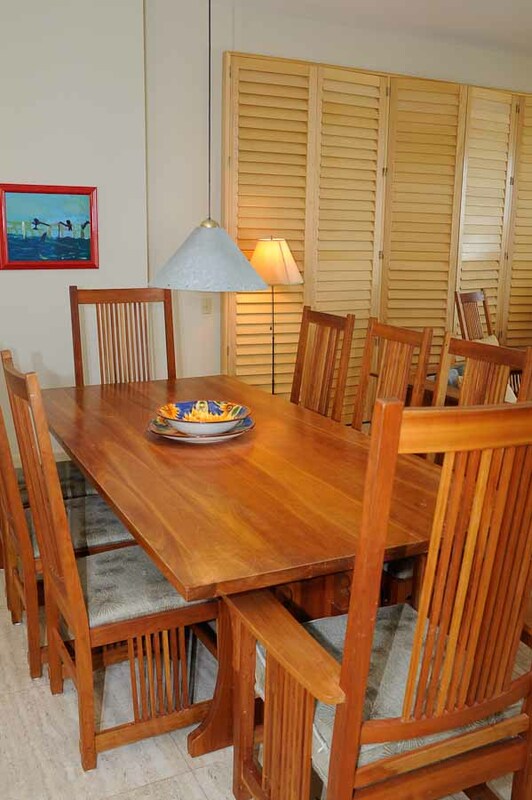 Outstanding custom touches and elegant decor make this a reason to book your family's next vacation here. 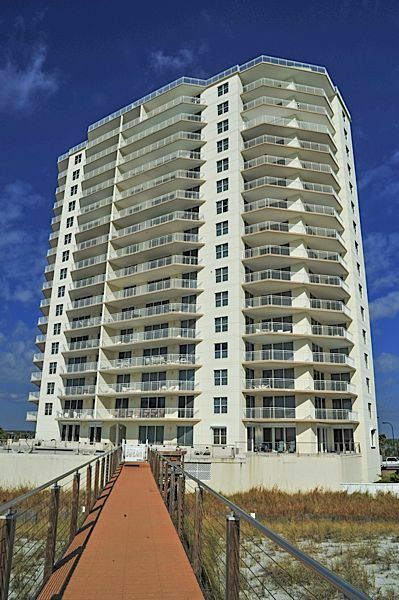 Great condo for two families. 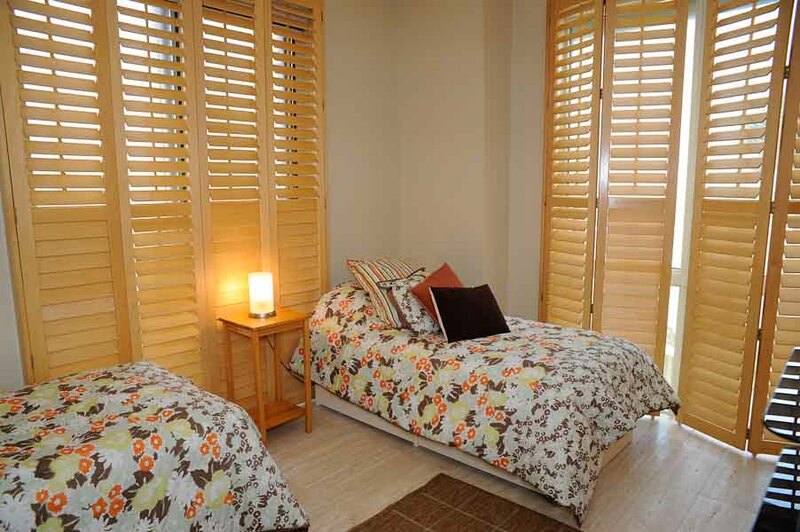 We loved ground floor so close to the pool and beach. The end unit patio is large and private. We were concerned about noise, but there was little to none. The pool was not busy. 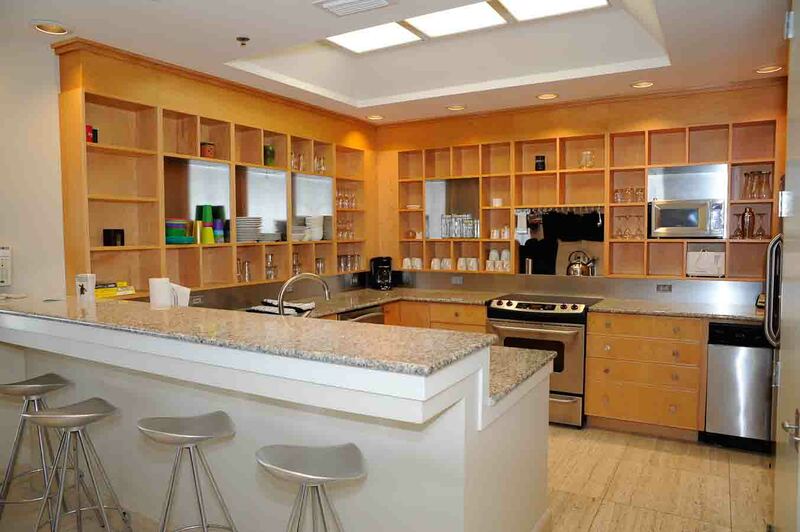 The furnishings and the kitchen are beautiful. 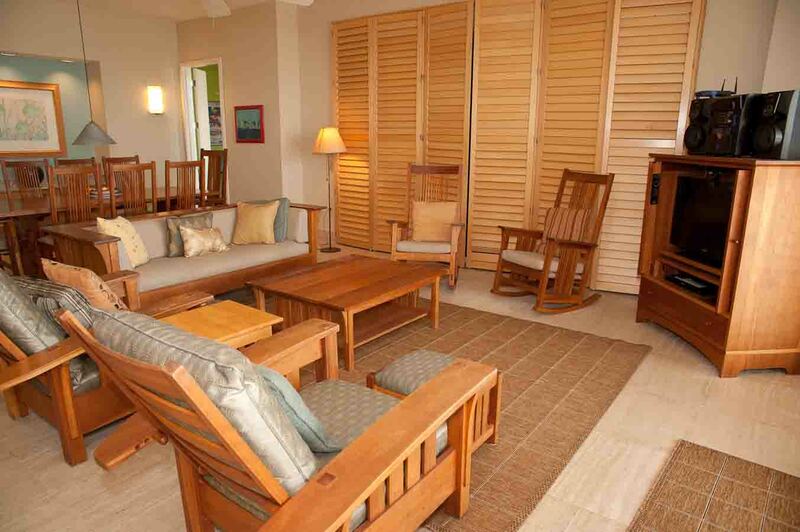 Our kids and grandkids really enjoyed this lovely condo.